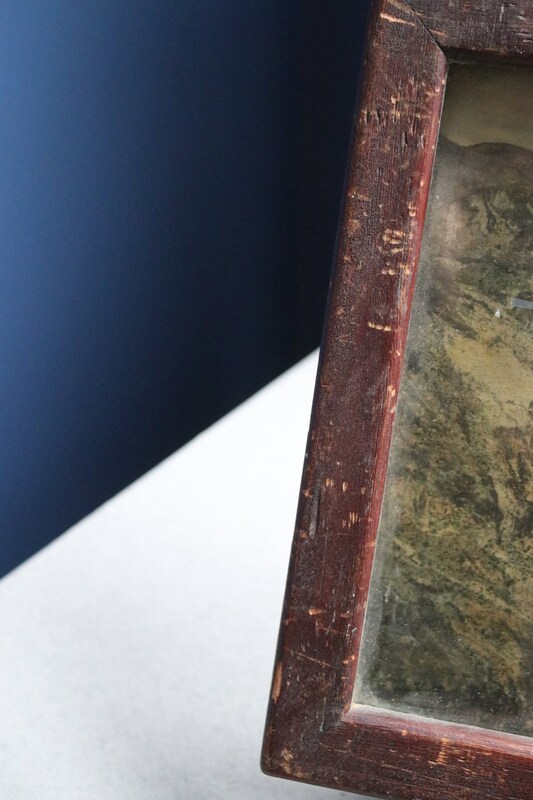 *Please note the stand is not for sale and is used for display purposes only. Only the framed postcard is for sale. 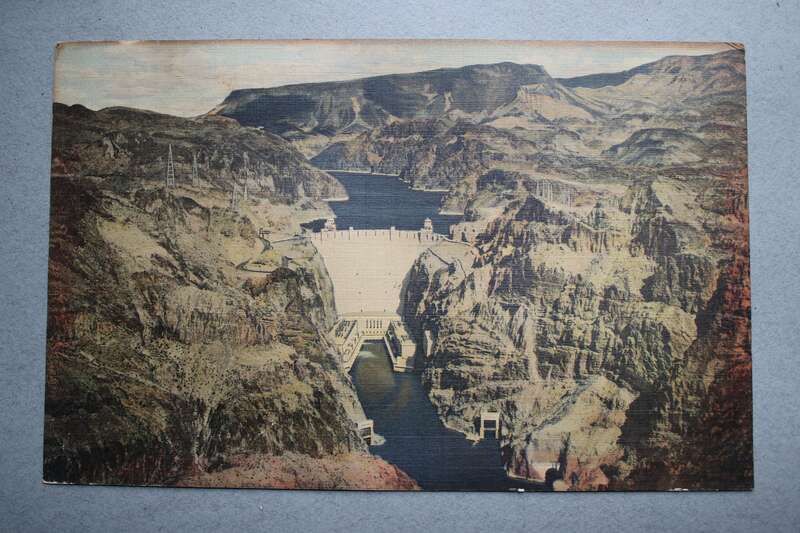 Since Boulder Dam was officially re-named Hoover Dam in 1947, and the three cent stamp was used from 1932-1958, I am dating this postcard as being circa 1930s-1940s, prior to 1947. 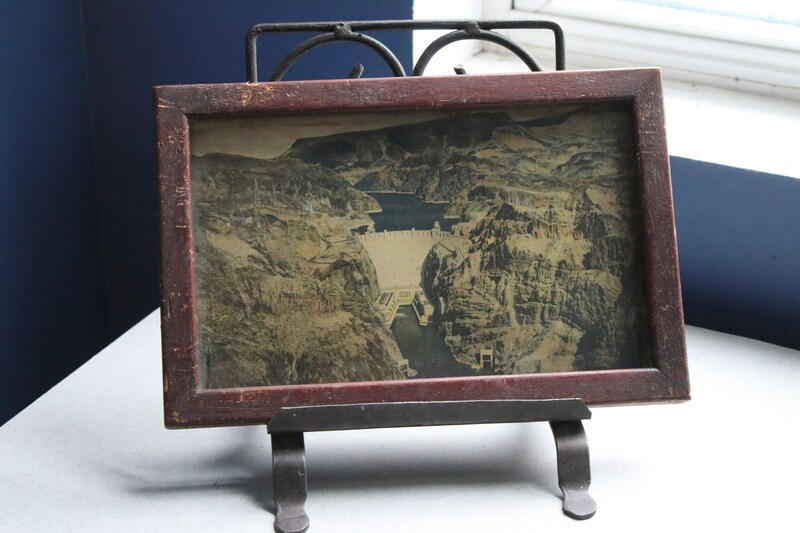 The dam was built between 1931-1935 and opened in 1936. 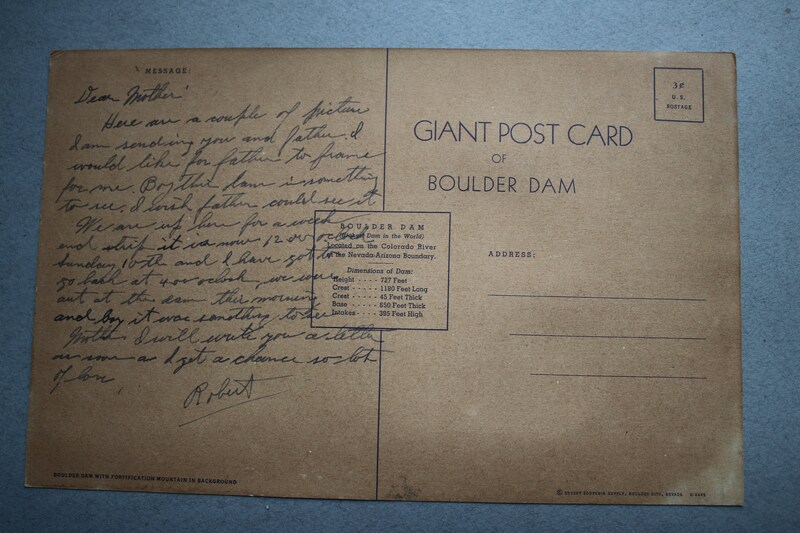 The postcard has a bit of provenance-- writing on the back from a son to his mother and is 10 ¾" x 7". 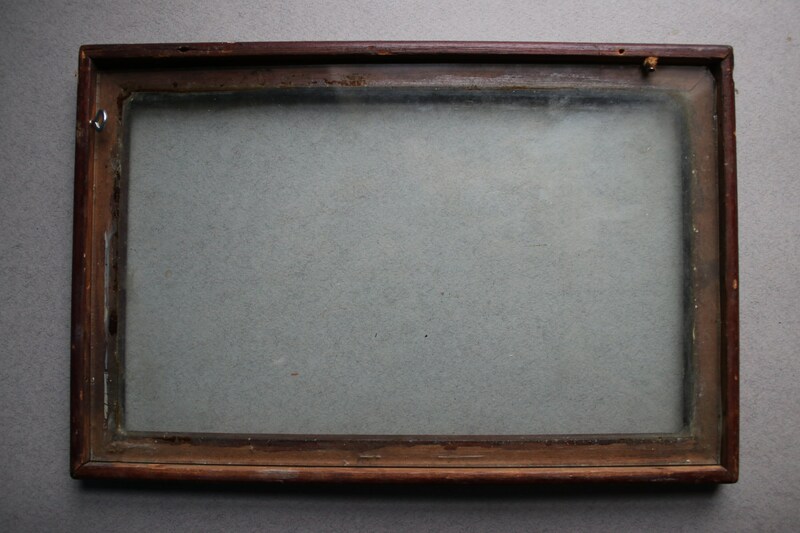 The frame is 11 ½" x 7 ¾". 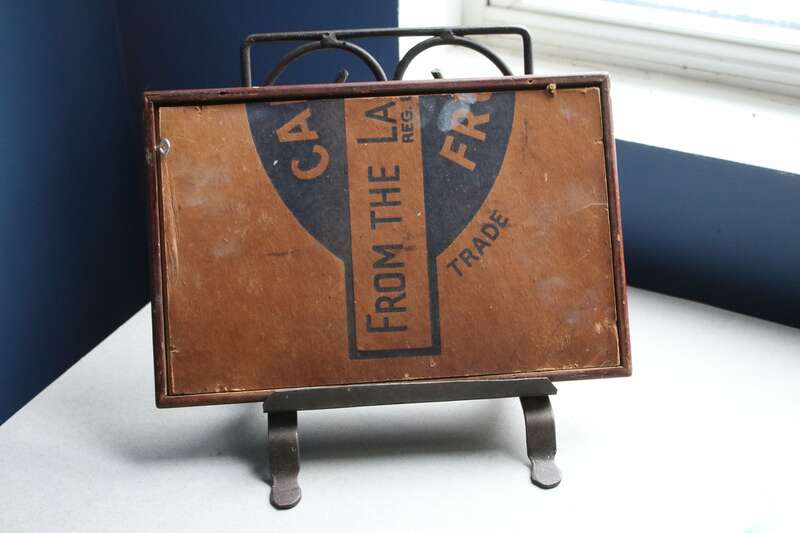 The cardboard piece holding the postcard intact was cut from an advertisement, possibly a box or sign. 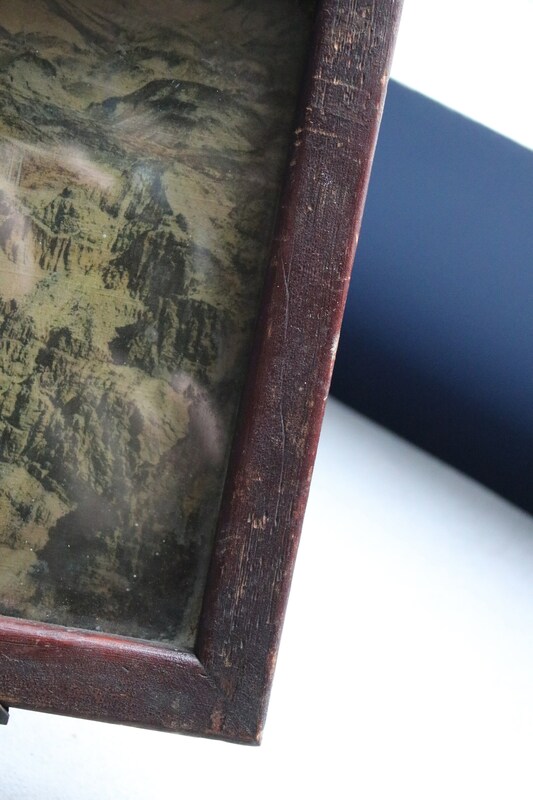 What's interesting is that the son requests his mother to have his father frame the postcard for him, and I am guessing that this is probably the original frame his father used. 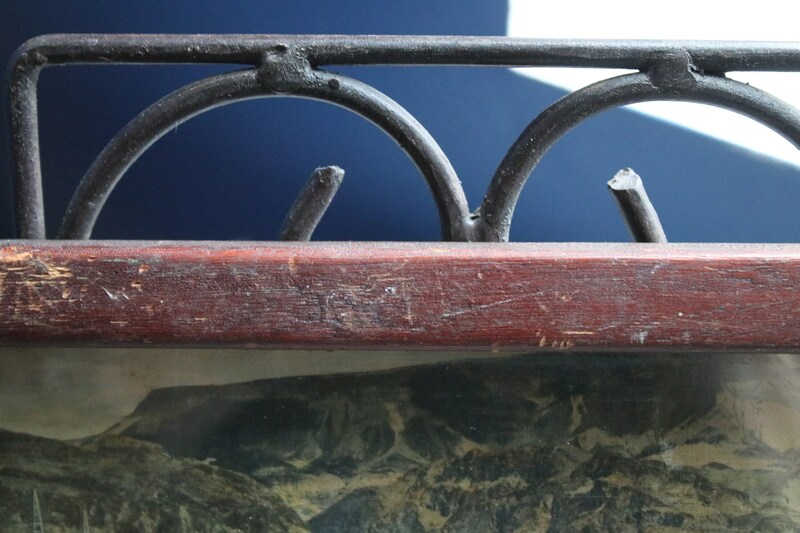 The frame has extensive wear, and the glass has surface issues in the way of marks. 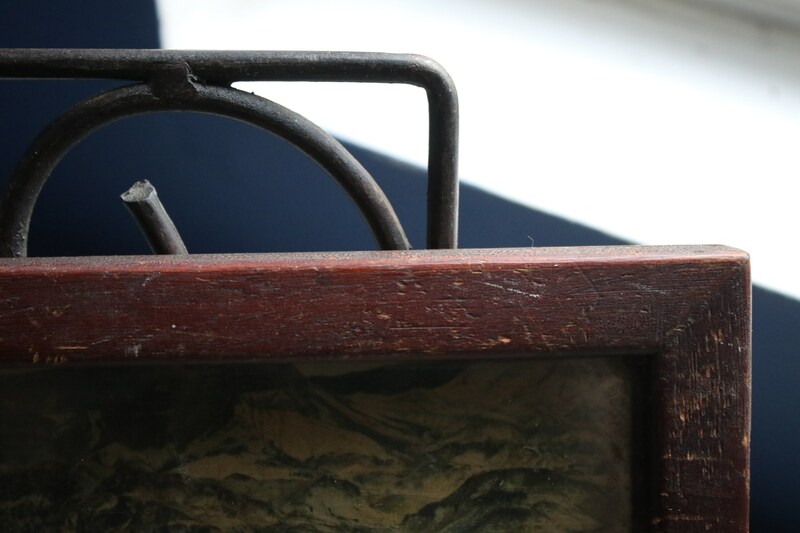 There is a small piece of glass missing from the corner where it meets the corner of the frame, but this is only visible when the backing and postcard are removed. 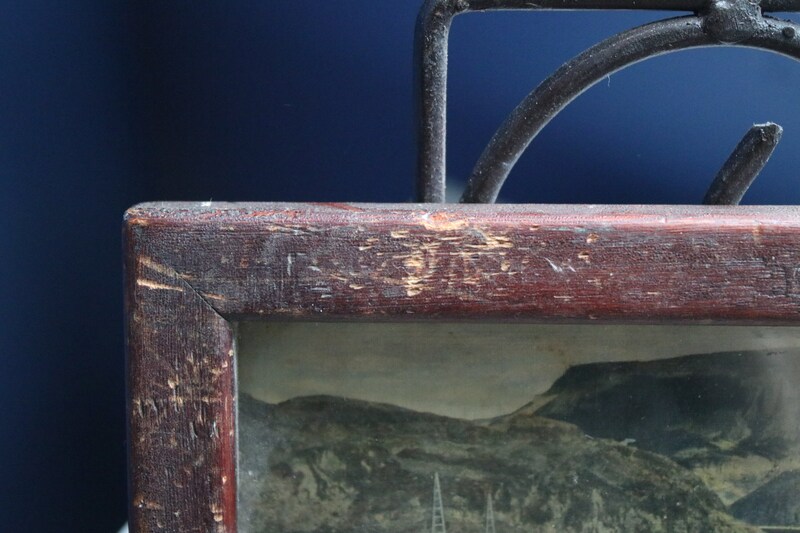 The cardboard should be secured better before displaying this piece to prevent the backing, postcard, and glass from falling out.